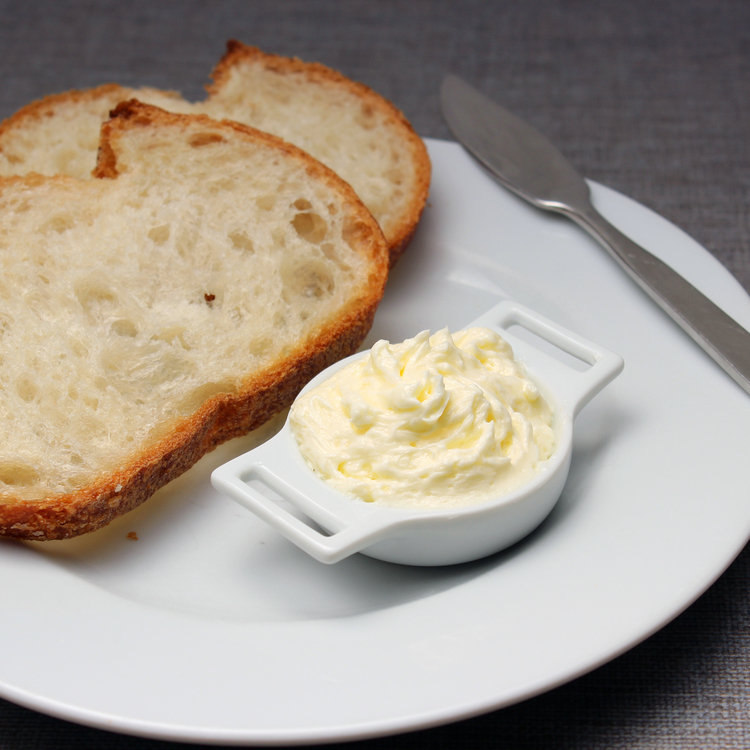 I found this great post on presenting butter from Jennifer of IamWaitress.com. She has creative ideas on do-it-yourself butter presentations. You can use traditional butter molds or anything that will create a shape you like. I am using a candy mold in this lesson. 1. What you will need: Room temperature butter, a knife, plastic wrap, a mold. 2. Spread the butter into the mold. Pushing down to remove any air bubbles. 4. Cover with plastic wrap. and place in the freezer. 5. When hardened, remove from freezer and pop out butter from mold or tap mold on table. If butter doesn't come out easily, rinse under warm water. 6. Keep refrigerated until ready to use. A quenelle, pronounce kuh-NEHL, traditionally is a delicate dumpling made of seasoned ground meat or vegetables that are gently poached in stock. This oval shape has become very popular for other items, such as butter, potatoes or dessert. There are a few methods for achieving the oval shaped quenelle. Below are directions for a one- and a two-spoon quenelle. To create a quenelle, you’ll need two spoons of the same size. The size of the spoon will determine the size of your quenelle. With a spoon in each hand, scoop a generous amount of mousse into one spoon. Gently press the bowl of the second spoon against the mousse, scooping the contents from the first spoon into the second. Transfer the mousse back to the first spoon in the same manner. This begins to create a smooth, rounded surface where the mousse molded to the spoon. Keep scooping back and forth until you have a nice, smooth oval shape. Rocher video courtesy of ChefSteps. A rocher, or one-handed quenelle, is a way to give a beautiful oval shape to butter. Chefs are taught to make a quenelle with two spoons, and that can work well, but by design it creates three curving sides to the shape. For smooth foods, such as butter, a one-handed quenelle is faster and yields a shape with no apparent edges. A perfect rocher is simple in theory, but it's challenging in practice. The butter must be at room temperature, or a little firmer, so the rocher will form and hold its shape. The food should be uniform, without large voids of trapped air, which would show up as craters in the rocher. The spoon needs to be deep-bowled rather than flat (look for good ones at a thrift store or antique shop). And the spoon must be hot enough to release the rocher, but not so hot that it melts the food. If necessary, warm the bottom of the spoon with your hand to help release the rocher. A rocher will work with any smooth food, such as, ice cream, mashed potatoes, or ganache. The technique takes practice, but if you spend the time, your dishes will reflect the effort. A rocher makes the simplest of components appear elegant and light. 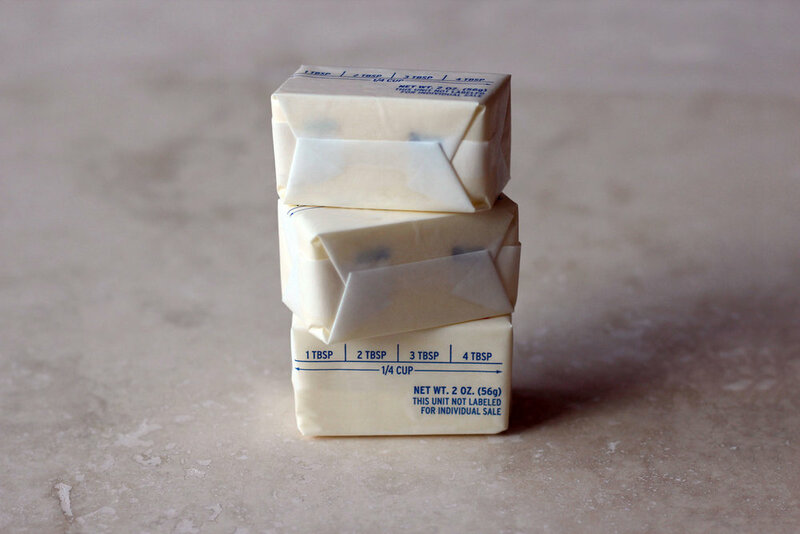 Making homemade butter is fun, easy and delicious. All you need is heavy cream and a mason jar. 1. Purchase quality heavy cream. Let the cream sit out for 12 hours before making. This allows the cream to ferment/sour. 3. As you are shaking, you will first see that the liquid clings to the sides the jar. Keep Shaking. 5. Open the jar and you can see the butter. The liquid is buttermilk. 4. After about 3 minutes of shaking you will start to feel something solid sloshing around. The liquid doesn't cling to the jar anymore. 6. 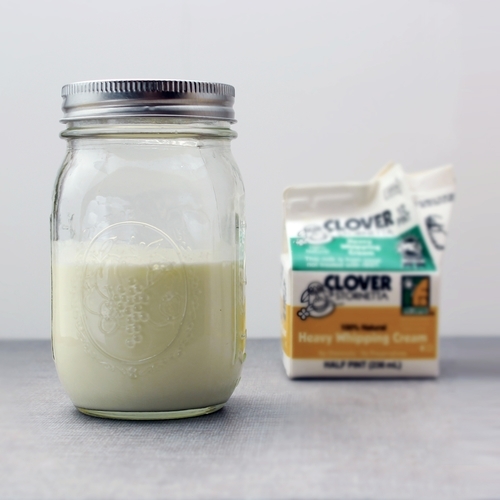 Pour out the buttermilk and save to use for baking or drinking. 7. Rinse off the excess buttermilk with water. Rinse and drain until water runs clear. 8. The butter is ready to use. Add salt if desired. Yum!